Rhimes has a new TV show in the works and Barris is bringing a classic back to the big screen. Shonda Rhimes is preparing to send us spiraling into a tornado of emotions once again with a new series for ABC. Currently untitled, penned by Scandal producer and writer Paul William Davies, and overseen by Rhimes and Betsy Beers, the show tells the story of new lawyers working on both sides of the Southern District New York Federal Court. The lawyers take on high-profile cases, with some working for the prosecution and others working for defense. 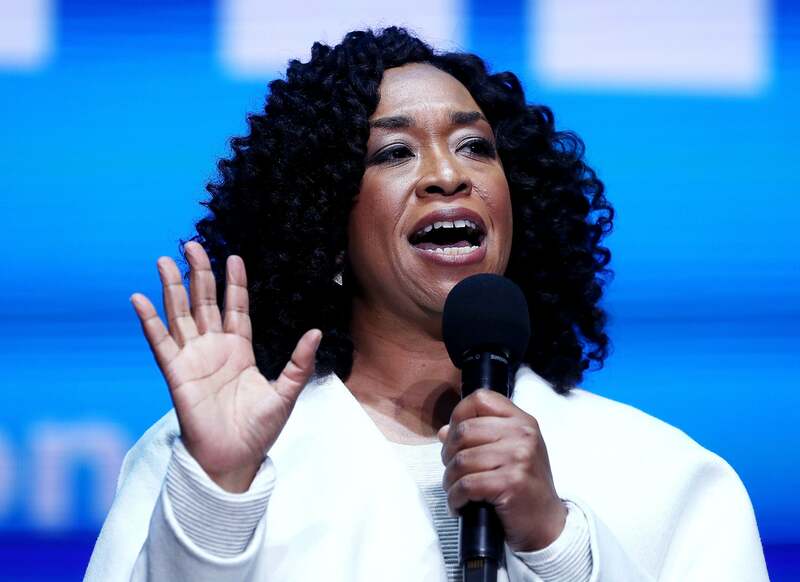 And, it wouldn’t be a Shondaland production if their personal lives didn’t intersect with everything else––so expect to see everyone sleeping together and getting messy. Rhimes isn’t the only showrunner working on a cool new project. Black-ish creator Kenya Barris has signed on to remake White Men Can’t Jump, which will be produced by pro athletes Blake Griffin and Ryan Kalil. Barris will write the script as well as produce. So far, both projects are in early stages, so not much else is known. But, with two amazing works headed down the pipeline from two of our favorite people in television and film, we’ll be keeping an eye out for more.